“Young adults – you are not only the future of our Church, but you are the present as well.” These are the words that greeted approximately 40 young adults from across Canada and the US, and set the tone for the UNITY 2017 weekend, taking place in Muenster, Saskatchewan August 17-20, 2017. 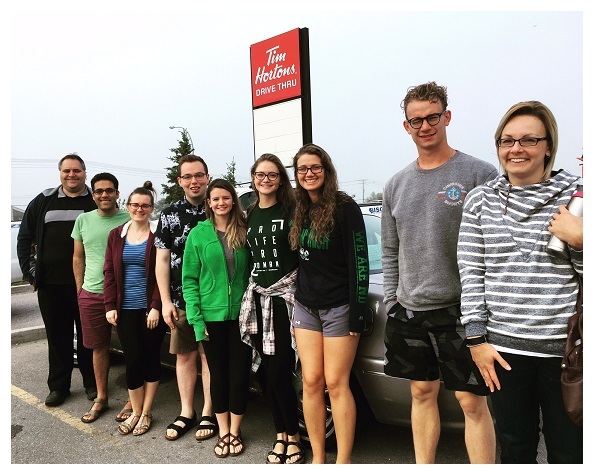 Five Ukrainian Catholic Young Adults from the Archeparchy of Winnipeg were joined by another four Ukrainian Catholic Young Adults from the Ukrainian Catholic Eparchy of St Nicholas as they commuted together on a pilgrimage of sorts to UNITY 2017. Our convoy travelled through some of the Canadian Prairies’ most scenic routes, seeing fields of golden wheat and bright yellow canola, as well as the impressive hills and valleys of the Manitoba landscape. Part of our pilgrimage was taking some time to visit St. Mary’s Ukrainian Catholic Church in Yorkton, Saskatchewan. Our young adults received an excellent tour by Fr Bohdan Lukie, C.Ss.R., and were able to spend some time in prayer. Upon being welcomed to UNITY 2017 at St Peter’s Abbey in Muenster, SK, it was clear to see that the weekend itinerary was filled with exciting and informative speaker sessions, social activities, and the opportunity to make new friends from across Canada. Many were keen to sign up for the impressive selection of UNITY 2017 speaker sessions, covering topics ranging from canon law, to chotky making, to personal testimonies of young people living their faith in their academic or professional environments. Another highlight for many at UNITY 2017 were the Liturgical services. It was evident that UNITY was not reduced to a “social event,” as the number of young adults who came to attend the early 7:00 am Divine Liturgy were truly inspiring. In addition to the Divine Liturgy, other services such as Moleben to the Mother of God, the Hours, and Vespers were prayed. To conclude the weekend, a Banquet and Zabava were held on the Saturday evening for all participants to enjoy – and did they ever! There was not a single moment when the dance floor was empty, as young adults congregated together, partaking in a traditional polka, or dancing to more modern music. Despite a fun night that went into the morning, once again our Ukrainian Catholic Young Adults expressed their devotion to their faith by rising early for the final Sunday Divine Liturgy, sang by the Holy Fire Choir. A farewell lunch was had, and participants said “see you later” to the friends made over the weekend. It was also announced that UNITY 2020 will be hosted by the Eparchy of Toronto. 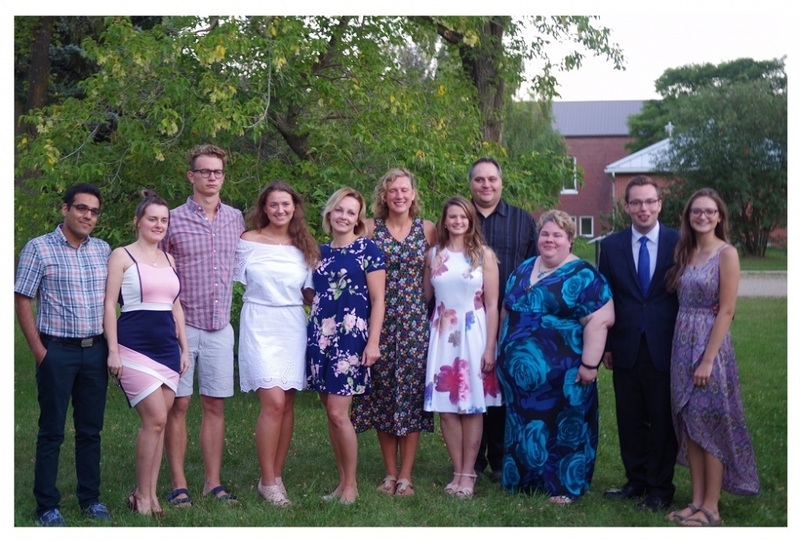 While 40 people may seem dismal as a representation of all Ukrainian Catholic Young Adults across Canada, each of those 40 participants took something from UNITY; knowing they have a role in our Church. Keeping our eyes fixed on Jesus, those 40 young adults have the potential to inspire not only the future generations of our Church, but the present as well.